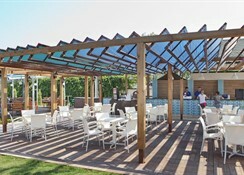 This hotel is located on the coast, right on the beach, and guests have the unique beauties of the Mediterranean at their feet. 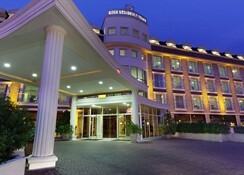 Guests will find Kemer town centre and the tourist centre just 5 minutes away. 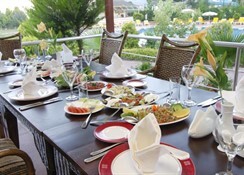 It is 45 km (60 minutes by public transport) to Antalya city centre and 50 km to Antalya Airport.--Guests of this establishment can enjoy privileged and outstanding service through warm, sincere, friendly, respectful and hard-working hotel staff. 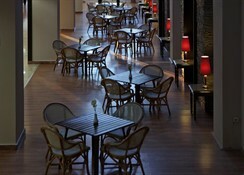 Renovated in 2008, this beach hotel comprises a total of 363 rooms. Facilities on offer to guests at this air-conditioned establishment include a lobby area with a 24-hour reception and check-out service, a currency exchange facility and lift access. 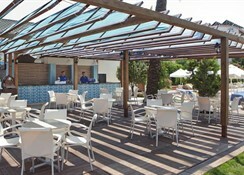 It also offers a mini supermarket, souvenir gift shop, a hairdressing salon, a bar and a disco. A games room, a TV lounge, a restaurant, conference facilities and Internet cafe (charges apply) are also at guests' disposal as well as free Wi-Fi access in the lobby. They may take advantage of the room and laundry services for an additional fee and there is parking for those arriving by car. The younger guests will enjoy the children's playground and the kids' club.--All rooms come with a private bathroom with bathtub and shower, WC and hairdryer, as well as a telephone, satellite TV with digiturk pay TV and music channel. They are also equipped with a minibar (extra charge), split air conditioning (individually adjustable), an electronic safe (extra charge), balcony or French balcony, carpetted or laminated floors and twin/double beds. 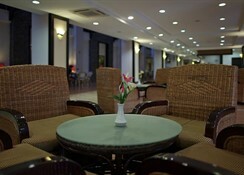 Furthermore, Internet access is provided in all accommodation (extra charged).